Nearly a month after Icaros 2.1 release, it's already time for an update. Icaros Desktop 2.1.1 does not introduce new features, but updates OWB 1.25 to its final version and fixes a couple of nasty bugs: VICE does not crash anymore on exit, and HDToolBox will now show text on the right panel again. Newer OWB improves stability and compatibility over the beta version published with Icaros 2.1, and most of all now allows to update files in Google Drive accounts, as explained here. The other addition is obviously the improved LiveUpdater released yesterday, which can now be used to install next Icaros update packs. 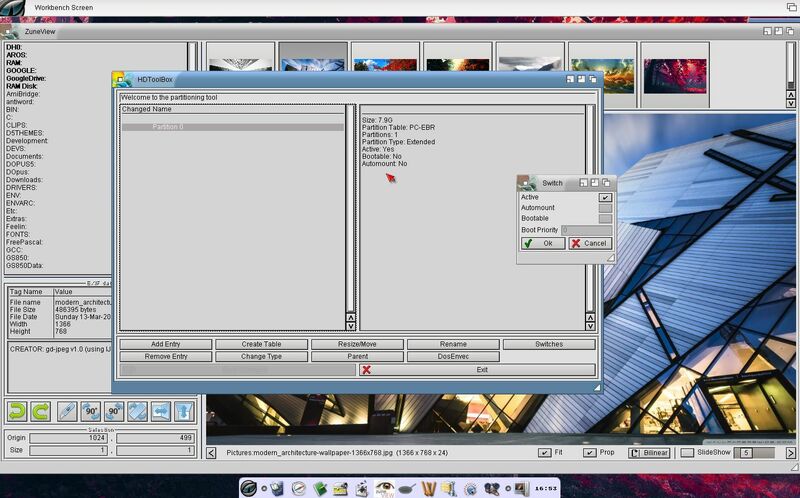 Icaros Desktop 2.1.1 comes in the usual flavours: Icaros Desktop Live!, tailored for DVD-ROM media and provided with an already configured QEMU virtual machine for Windows; Icaros Desktop Light, the "core system" which can easily fit on a CD-ROM and a small pendrive; and a Update Pack for current Icaros 2.1 users. 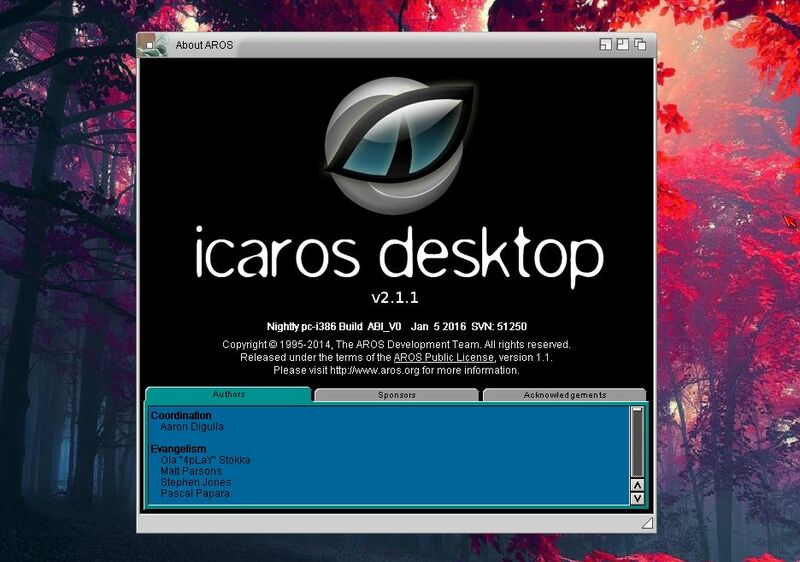 Icaros Desktop 2.1, although not mandatorily, should be upgraded to version 2.1.1 using the improved LiveUpdater released yesterday. This should make sure that some little modification to startup files will be handled correctly when upgrading to the latest release. 6. enjoy Icaros Desktop 2.1.1! Update Pack for Icaros 2.1.1 will not work on Icaros 2.0.3. 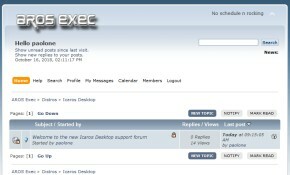 Icaros Desktop 2.0.x users should update their systems to Icaros 2.1 before upgrading to v2.1.1. - Updated to WebKit r187682 (July 2015). - Ported Odyssey directly on top of WebKit repository. - Enable HTML5 video feature. - Bookmarks management panel has been made functional (needs updated MUI components). - Cookies management panel has been made functional (needs updated MUI components). - Fixed "second download crash". - Updated to ffmpeg 2.6.2. - Fixed problem with Odyssey not remembering window width after closing. - Fixed problem with pressing enter not being handled in search window. - Added a "graceful exit" option on crash of Odyssey allowing to close the application and free memory. - WebKit codes revision is now presented in AboutBox. - Browser spoofing agents are updated for Firefox and Chrome. - Added option to disable/enable MP4 support (enabled by default). - Fixed crash when closing bookmarks panel (needs updated MUI components). - Double-clicking on bookmarks opens it in current tab. - Fixed list-related code that was trashing memory. - Lists (download, mime settings, history) now have a scroll bar (needs updated MUI components).